1. Sift and mix the flour, icing sugar, cocoa powder and salt together in a bowl. Rub in the butter with your fingertips until the mixture resembles breadcrumbs. 2. Mix in the egg until the mixture comes together. Add a little water if necessary. Knead into a disc, wrap in cling film and place in fridge for 40 minutes. 4. Mix the mincemeat, orange zest and juice, allspice and chocolate callets together in a bowl. 5. 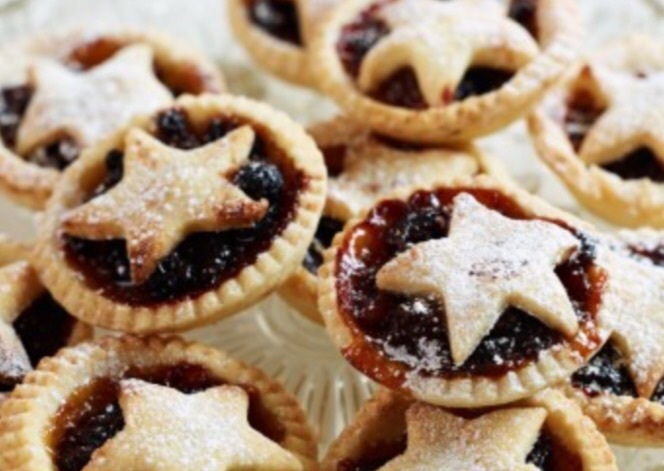 Roll out pastry on a lightly floured surface to 3mm thick, cut out 11cm-diameter rounds with a pastry cutter, then cut out the same number of small stars as there are large rounds. 6. Line muffin tins with rounds and add a large tsp of the mincemeat chocolate mixture. Top with a star. Brush the top with beaten egg. 7. Bake in the oven for 20–25 minutes, or until the pastry is cooked through. 50 Shades of Chocolate – bringing chocolate and good cheer to you this Christmas! What can be better than looking drop-dead gorgeous? Looking drop-dead gorgeous wearing chocolate makeup, of course! 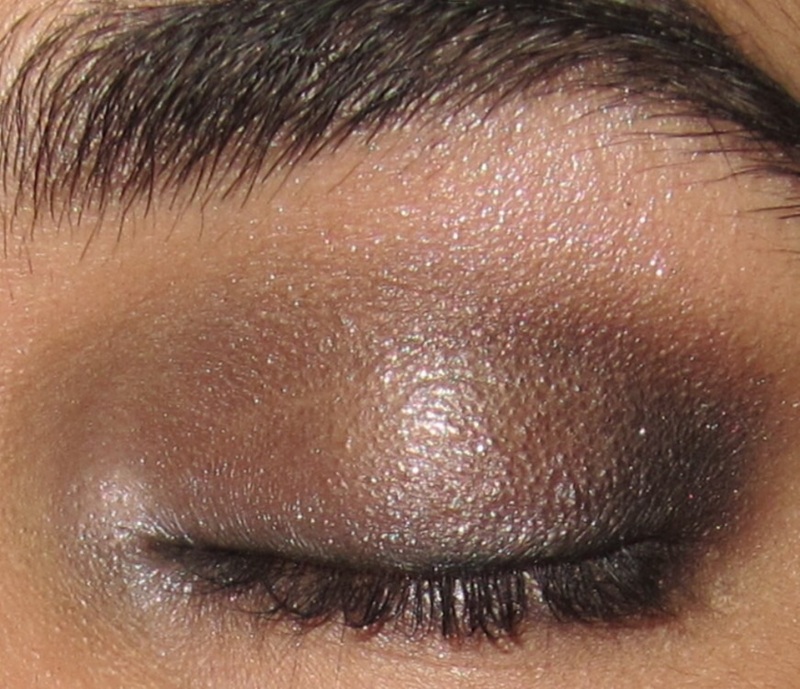 For chocolate eye shadow, mix 1 tsp corn starch with 1 tsp potato starch. Add 2 tbsp of cocoa powder. And that’s it! How easy is that? Check out this YouTube video of a girl using hot chocolate powder as blusher. 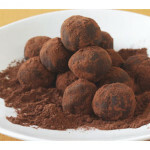 For more fabulous chocolate recipes, check out 50 Shades of Chocolate on Amazon. 1. Preheat oven to 230C /450F. 2. 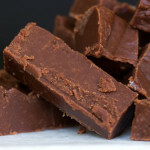 Melt chocolate and butter over a double boiler and allow to cool. 3. Whip eggs, egg yolks and sugar. 4. 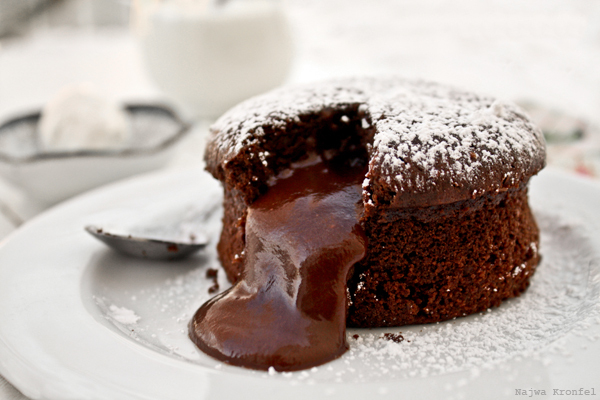 Mix the egg and sugar mixture into your melted chocolate. 6. Spray four ramekins and dust with the cocoa and flour. 8. Bake for about 7 minutes. Serve with ice cream and a saucy smile. 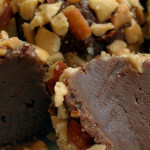 A delicious way to bring chocolate into your Thanksgiving this year (though obviously true chocoholics need no help)! 1. To make the pie crust, add all ingredients to a mixer (except the water) and whiz until most of the butter is worked in. Then add a couple of teaspoons of water until the pastry binds together. Flatten into a disc, wrap with cling film and refrigerate for 30 minutes. 3. Roll out pie crust and place it in a sprayed pie dish. Place some parchment paper with pie weights (or rice) over the pastry and blind bake for 15–20 minutes till the pastry has started to firm and turn light brown. 5. 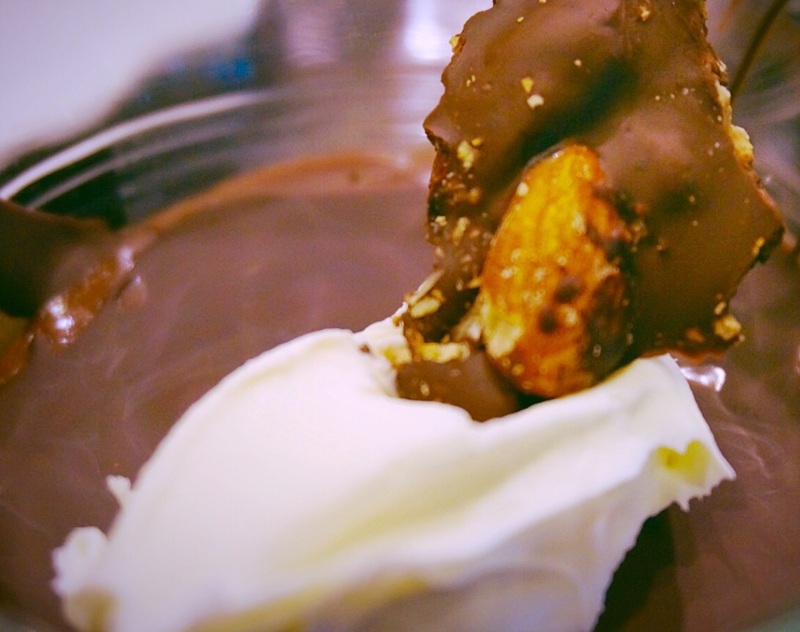 To make the filling, melt the chocolate and butter over a double boiler. Mix the rest of the ingredients in a large bowl. Mix in the chocolate and egg mixture and pour into the pie crust. Bake for about 45 minutes until the filling has set. Now tell me what you are thankful for! 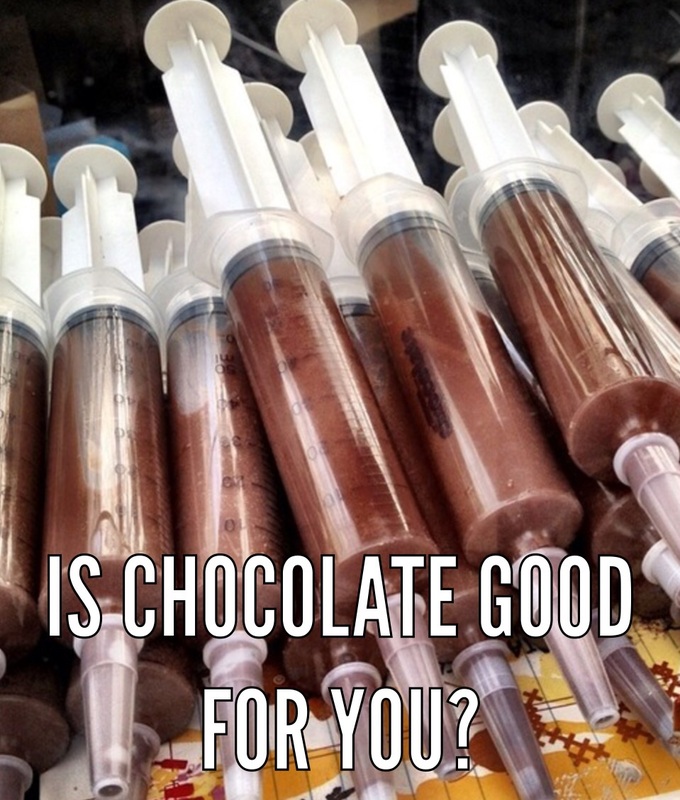 Fact or Fib – Is Chocolate Good for You? FIB (just)! Yes, it has caffeine and theobromine, which can have an effect on fatigue and concentration – but the levels in chocolate are so low that they won’t make any difference. FACT! The endorphins released from eating chocolate can increase feelings of optimism. This is probably why you can manage to talk yourself into eating the whole bar (and perhaps even another!) and believing it will have no effect on your diet! FACT! Having found out it is in the healing food pyramid, you may want to skip this next line… Recommended serving size is 1 oz a day, and it should be dark chocolate. FIB! Yay! The Pennsylvania School of Medicine and the U.S. Naval Academy have concluded that chocolate does not cause acne – heredity, stress and overall diet are to be blamed for the pesky skin condition. FIB! There is no physical addiction component to chocolate. It’s willpower, and if you don’t have willpower, then it’s just not your fault! 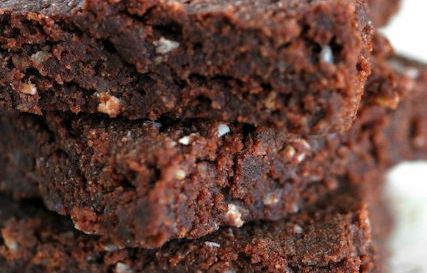 Chocolate quite clearly is good for you – go forth and eat and enjoy! Diva’s Guide To Dinner Parties! The fun and amusing guide to cooking and hosting your own dinner party. With 12 different dinner parties, there is one for each month of the year, and each comes with recipes, how-tos, timetables and humor to keep you smiling as you prepare! This essential guide to entertaining includes a gastronomic buffet for 20, a Super Bowl (or other suitable sporting event) gourmet spread to wow your bloke and his mates, and even a dinner party that you can rustle up in 45 minutes. It’s all there with a concise timeline for each one, a shopping list (even comes with a handy hint of what you should be buying for yourself as well as the food! ), plus additional helpful comments from the panel of experts like Cost Cutting Cathy and Barman Bill. 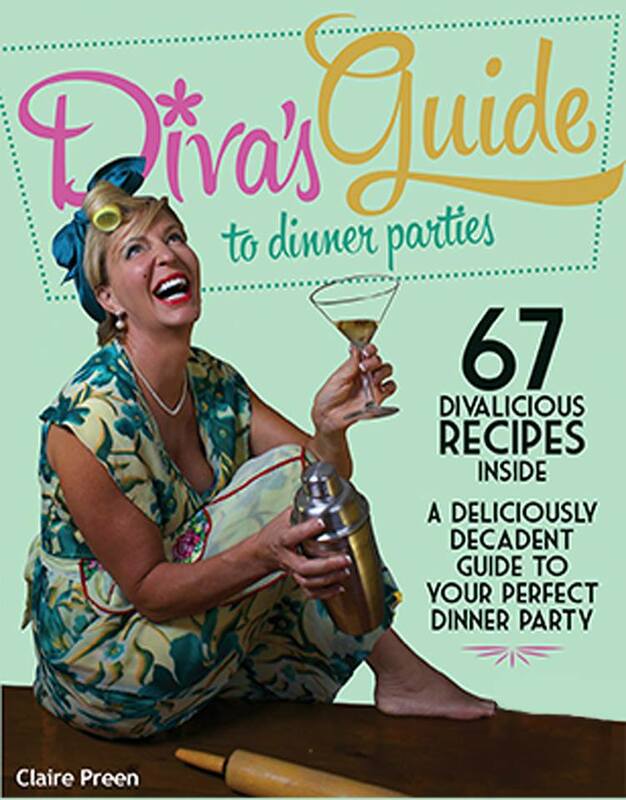 Whether you are a diva in the kitchen or your skills are more specialised elsewhere, this guide will inspire and keep you giggling as you prepare your fare as any diva should!